Subaru has given the production-ready BRZ coupe its world debut, unveiling the sporty Scooby at the company's home motor show. Subaru has also trumped Toyota's GT 86 launch with a GT racer as well. Developed in conjunction with Toyota, the pair of coupes have been very eagerly anticipated, given they've been around for what seems like forever. The production version of the BRZ is a more sedate affair than the outrageous BRZ STi concept, which was unveiled at the LA Motor Show and features an ironing board-sized carbon fibre rear wing. The BRZ will be powered by Subaru's 2.0-litre flat-four petrol motor with the addition of Toyota's D-4S direct injection system, boosting the engine to 197bhp and 151lb ft, as well as increasing efficiency. 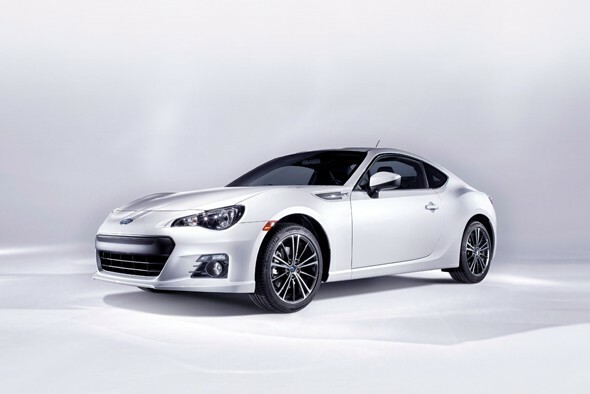 Thanks to a lightweight chassis the BRZ should handle like a roller skate too. With a modest power output, the chassis should really show its worth. Given that it was jointly developed, the BRZ looks pretty similar to Toyota's GT 86, albeit a little more subtle – not something you thought you'd ever say about a Subaru given the rally specials of the past. Trumping Toyota with the launch of its car, Subaru's BRZ GT racer comes with steroid-enhanced wheel arches to cover the wider track and fat slick tyres, as well as enough power to compete with the Porsche GT3s, Ferrari 430s and Lamborghini Gallardos that race in the FIA GT3 Championship. Power figures haven't been released yet but we reckon to homologate the racer, there must be a hot BRZ in the pipeline - possibly a version of the STi concept at the LA show. But it's the production BRZ that's the star of the Tokyo show - a car we are just itching to get behind the wheel of when it eventually hits UK shores.